The theory of evolution - and here I refer to it in terms of an established scientific theory, not in the sense of "Hey, I just thought of something that might work!" - is a complex, elegant system by which all living things on the planet emerged over billions of years, through a process called natural selection. Although many religious groups have sought to misinform people on evolution and how it works, it has been an established and universally accepted theory in the scientific community for well over a century. Evolution is happening around us every day. 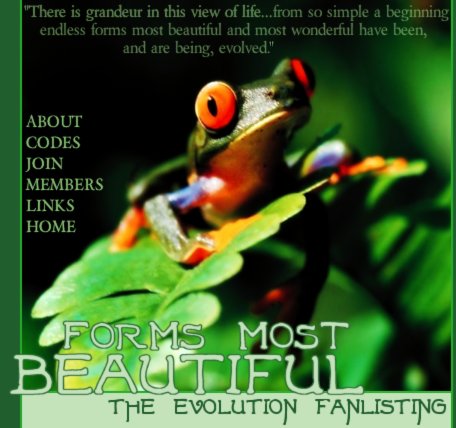 The site's title and the quote on the layout come, of course, from Charles Darwin.